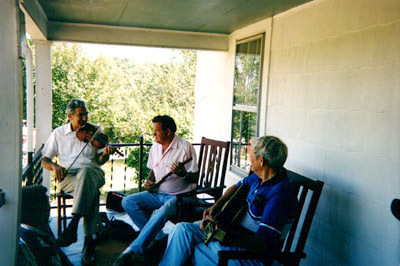 (playing the Strum Stick), and Dean Reed (playing the guitar). Henry Reed in Glen Lyn, Va over Labor Day weekend 1995. Dean and Gene are the 2 youngest of Henry Reed's children (twins!) and Steve is Gene's son.